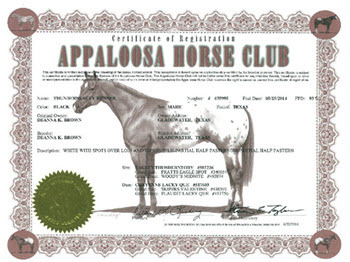 ApHC is the oldest of all the Appaloosa clubs in the world. Until the late 1940s, the club used the Thompson’s home in Moro, Oregon as its headquarters. In 1947, the club office was moved to the home of its executive secretary George Hatley in Moscow, Idaho. George Hatley, a resident of Moscow in Idaho, joined the club in 1942. He eventually became Claude Thompson’s assistant secretary and a driving force behind the creation of the Appaloosa News, a single-page newsletter for the club’s members. Hatley was named executive secretary in 1947, and the ApHC’s office was moved to his home in Moscow shortly thereafter. Together with Francis Haines, Hatley got to work on publishing the ApHC’s first stud book. 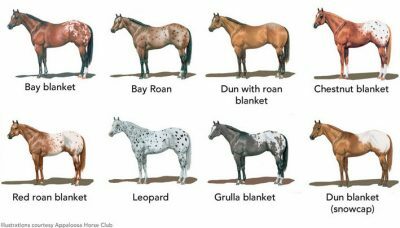 Ten years after the club’s formation, it’s registry contained 296 horses and ranked ninth in annual registrations among light-horse breeds in the United States. 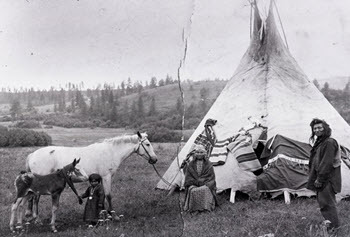 The first National Appaloosa Show took place in Lewiston, Idaho in 1948. June 19 that year is an important date in the history of the ApHC, because this is when the club’s first official membership meeting was held and the club elected its first national directors. The meeting took place right before the first National Show. 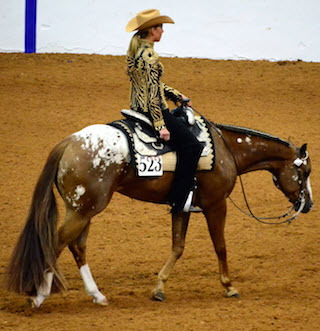 Throughout most of the second half of the 20th century, the National Appaloosa Show was moved to a new location each year, but in the period 1993-2007 it remained in Oklahoma City, Oklahoma. From the year 2008 and onward, the show has been held in Jackson, Mississippi. Races were held at the very first National Show in 1948, but it would take until 1960 before the ApHC Board of Directors passed the resolution that created a special Racing Committe within the ApHC. Earlier that year, the Missouri Appaloosa Association (one of the first regional ApHC clubs) had hosted the breed’s first-ever futurity. In 1961, the Kansas Appaloosa Racing Association was formed – the first ever ApHC state racing association. 15 years later, there were two dozen recognized state and regional racing associations affiliated with the ApHC. 1962 First ever pari-mutual race for Appaloosas. The race took place in Albuquerque, New Mexico. 1962 The Texas Appaloosa Horse Club and Gillespie County Fair Association held its first race meet for Appaloosas in Texas at Fredericksburg. 1963 The first World Wide Derby for Appaloosas. The derby took place in Albuquerque, New Mexico. 1973 The ApHC introduced its race medallion award system. 1980 This year, the World Wide Futurity had a purse of 160,593 USD. This is the record for highest Appaloosa purse ever. 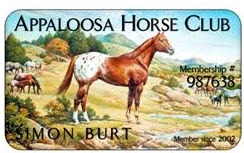 1988 The Appaloosa Race Hall of Fame was formed, inducting eight horses and eight persons.